The spookiest time of the year is upon us! 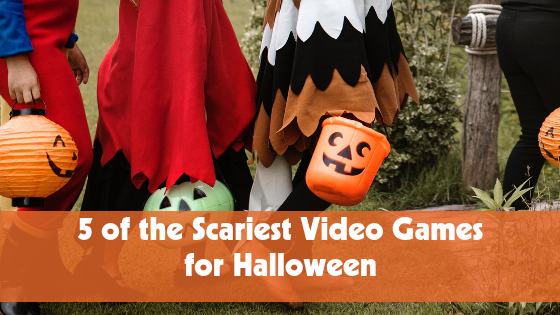 From setting up decorations to horror movie marathons, those of us who love Halloween always look for new ways to make the month of October a little more exciting — and there’s no better way to increase the terror in your life than by exploring the season’s creepiest video games! If you’re looking for games to chill and thrill you, GameTruck Atlanta is here to help! We’ve picked out our top five favorite scary games to keep the spirit of Halloween alive — check them out! This game may be over 15 years old, but there’s a reason it’s just as popular today as it was when it first came out. A grim, unrelenting descent into one man’s nightmare, Silent Hill 2 draws you into a dream-like world of horror that you never want to leave. If you’re wondering what makes the game so sinister, dive into the never-ending fog and discover the many disturbing endings that are waiting for you! Take the risk and immerse yourself in the terrifying world of Resident Evil 7: Biohazard, one of the later installments in the long-running horror series. This new first-person view leads users into a survival-horror adventure filled with suspenseful exploration that will keep you up all night. When something strange and mysterious appears in the woods, you’ll have to quickly learn how to survive as you fend off a dark and disturbing evil. The Land of Pain will take you on a memorable horror adventure where you’ll flee from an unrelenting enemy, solve puzzles, and unravel the ancient mystery that has cursed this land. Transform into the iconic murderer, Jason VoorHees, and roam around as an invincible force of evil in this multiplayer killing spree. The game follows the story of the horror film — in this asymmetrical, multiplayer game, Jason is up against seven teenagers: He’s hunting them, and they’re working together to try to escape. Discover the true meaning of fear in Alien: Isolation, a horror survival, set in an atmosphere of constant dread and mortal danger. From wisps of smoke that billow out of air vents, to the panic that sets in as you rewire an area’s life-support system, Isolation certainly looks and sounds like a part of the Alien universe. Book Your Scariest Party Yet With GameTruck Atlanta! Whether you want a Video Game Party or your own spooky LaserTag Arena, GameTruck’s unique mobile video gaming theaters and arenas can make your ultimate party wishes come true! Call us today at (770) 629-8762, or visit our website for more information.